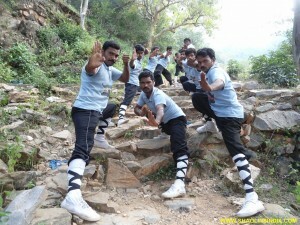 Indian Martial arts : Shaolin Kung-fu in Indian Shaolin Temple Warrior Monk Shifu Master Prabhakar Reddy. Learn Authentic Shaolin Kung Fu, Shaolin Forms, Shaolin Traditional Weapons, Shaolin Chin Na, Shaolin Qi Gong etc. .
Shifu Teach Kungfu and Develop the Self Confidence to the Students.